When the Man Booker Prize judges name an unknown debut novelist, it's advisable to take notice. And when the named novel makes the shortlist, you can know you've found a new author worth paying attention to. 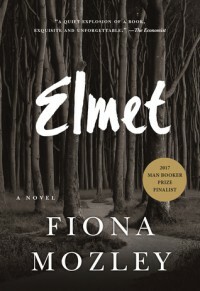 Fiona Mozley's Elmet is a finely-crafted moody story. The tale focuses on a father and his two children, Cathy and Daniel. 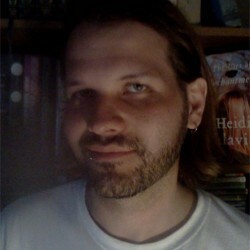 The story is told from Daniel's perspective which is an excellent choice for a narrator. Daniel is unique and interesting; although he is central to the story, he exists largely as an observer. It's what happens to those closest to Daniel that truly propels the story. Mozley wonderfully draws the rugged Yorkshire setting. The language throughout this novel is beautiful and vivid, but keeps with the atmosphere of the rural setting. Whether the characters occupy the surrounding woods or their own living room, the descriptions are always organic, yet crushing (like the forest). [Daddy] led Cathy and me by our hands through the narrow corridors of our school. The ceilings were low and lit by halogen strip bulbs that flickered and shone the same colour as the magnolia pain on the walls, making it appear as if the light were emanating from the plaster. The only windows were long and thing and tucked just beneath the ceiling, well above the heads of the children who walked up and down these corridors so that when they looked up and out into the world beyond all they could see was the sky. On that day the sky was a mesh of criss-crossed grey and white cords being ripped and tugged and frayed by colliding winds. Elmet may feel a bit light in the middle as the bulk of the story rests on the opening chapters and the ever-expected conclusion. Once the story comes full circle, one can see the necessity for the slow build in the middle. This is a story that doesn't rely heavily on being overly ornate or on the use of tricks. It hits hard at times, but not at the risk of losing its heart or voice. Fans of Winter's Bone and His Bloody Project may appreciate the dark atmosphere of Elmet. The author gifts the reader with a bit more sensitivity than you might find in other similar tales, but that should not be a deterrent to any reader searching for a contemporary tragedy. This is a dark tale, but one that doesn't lose sight of its themes, love, honor, and devotion.